As a high school diploma increasingly becomes the pre-requisite to landing a well-paying job, a report released last week shows rising graduation rates, but pockets of persistent inequality. A record 81.4 percent of American students graduated from high school in 2013, according to the 2015 Building a Grad Nation report. The achievement gaps by income, race, language and disability are closing in some states, but they are still sizable, and widening in some places. 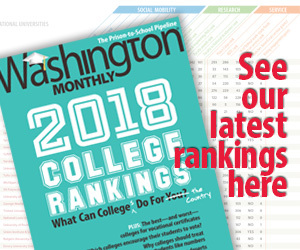 The authors (from four nonprofit education research groups that compile the report annually) detail several successful efforts that have increased graduation rates, but stress that improvement has come from targeted local interventions, not overarching national initiatives. In 2013, 71 percent of African-American and 75 percent of Latino students graduated on time, up four percentage points from two years earlier. One reason for the improvement, the study’s authors believe, is the closure many “drop-out factories,” large high schools with high concentrations of poverty where less than half of the students graduated. Another seems to be a shift away from harsh discipline practices that result in disproportionately high suspension rates for black and Latino students. With more time in school, more students have been able to graduate. But some of the states with the highest concentrations of African-American and Latino students have graduation rates well below the national average. And some — such as Arizona, New York and Illinois – saw their rates decline. The Atlantic drilled down into this trend last week. Low-income students have seen improvement, but they remain 15 percentage points behind their middle- and upper-income peers. There are 12 states where that gap was 20 points or more, and in eight of those states the gap actually increased. More than half of those 12 states have some of the biggest disparities by race, disability and number of English language learners. Some schools, however, have begun to figure it out. McDowell County, for example, is the poorest county in West Virginia. It also ranks highest in teen pregnancy, suicide, heart disease, drug overdoses and high school dropouts. A severe teacher shortage and lack of funding have meant no after-school programs, minimal public transportation and little technology in local schools. In 2011, state officials and the teachers union launched a partnership, dubbed Reconnecting McDowell, and enlisted 120 business, non-profit and government partners. The effort has turned every school in the county into a community school, with wraparound health services for students and families. To address the teacher shortage, the county is building a “teacher village” to help provide safe and affordable housing. All middle schoolers got laptops, and every school in the county has been wired with high speed Internet. A juvenile drug court was opened to get teenagers treatment instead of landing them in jail. It’s still early, but graduation rates climbed to 79 percent in 2013 from 72 percent the year before. Related: These schools graduate English learners at a rate nearly 75 percent higher than other schools. What are they doing right? 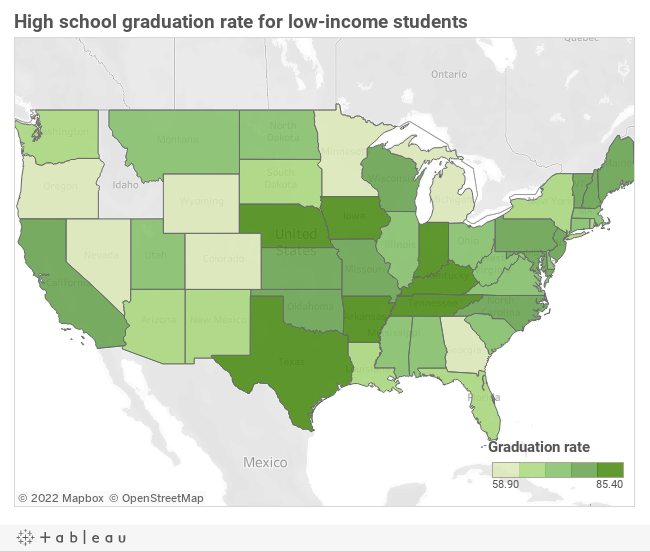 The report also holds up Kentucky as a state that has made slow, consistent progress over the past decade and now has almost no graduation gap between poor students and their more affluent peers. The state has been using an early warning system that starts in middle school and flags students for intervention if their attendance, behavior or grades begin to slip. Principal and superintendent evaluations are now tied to graduation rates, and whereas state officials used to consider a school in trouble if its graduation rate was lower than 68 percent, now officials go on alert if a school dips below 80 percent.